HELP!!! I am needing to do a new runner on my stairs and have found a woollen carpet that I love but the manufacturer is telling me that wool is too slippery and that I have to use polypropylene... can anyone help me as to if this is correct?? and is it a big deal or should I just go with what I love?! I've had an all wool runner on my stairs for 12 years and absolutely love it. We have a large dog and two kids have grown up with this stair with no slipping issues. Wool is great for other reasons from an environmental aspect. 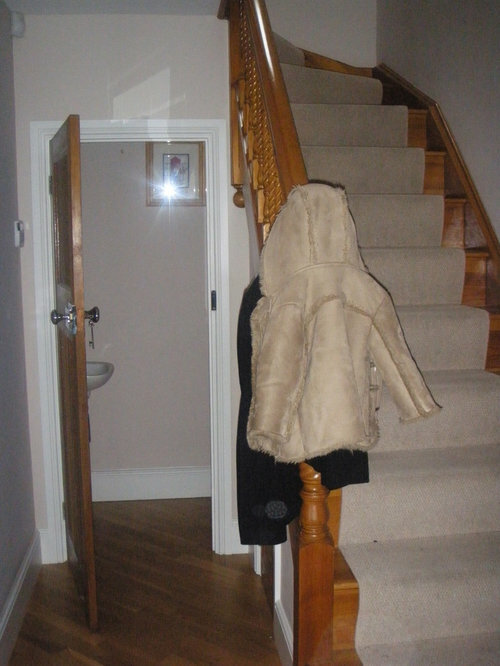 There are several online sources that can educate you about wool carpets and it's appropriate applications. Thanks so much for your comment spongamy! Wool makes a wonderful runner. I too had mine for 27 years. I would have it professionally steamed cleaned and scotch guarded once a year. Dirt would easily vacuum up. 2 kids and 3 dogs went up and down several times a day. The wool carpet was never an issue. How practical is understairs storage?